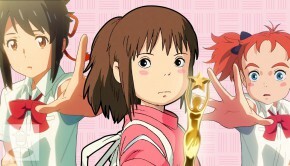 Anna Sasaki is an introverted 12-year-old girl living in Sapporo with foster parents, Yoriko and her husband. One day at school, she collapses from an asthma attack. 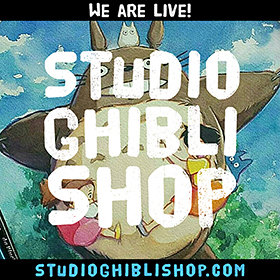 Yoriko discusses with Anna’s doctor about her recently withdrawn attitude and her parents decide to send her to spend the summer with Setsu and Kiyomasa Oiwa, relatives of Yoriko, in a rural, seaside town where the air is clear, located between Kushiro and Nemuro. Anna sees an abandoned mansion across a salt marsh and goes to investigate it. She looks around, finding it familiar, but gets trapped there by the rising tide until she is found by Toichi, a taciturn old fisherman, who brings her back to the pier with his rowboat. 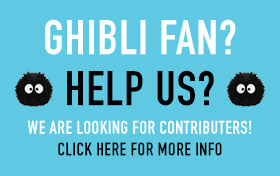 When she returns to the Oiwa’s, Setsu tells her that the mansion used to be a vacation home for some foreigners, but that it has been empty for a long time. Starting that night, Anna dreams of seeing a blonde girl in the mansion. 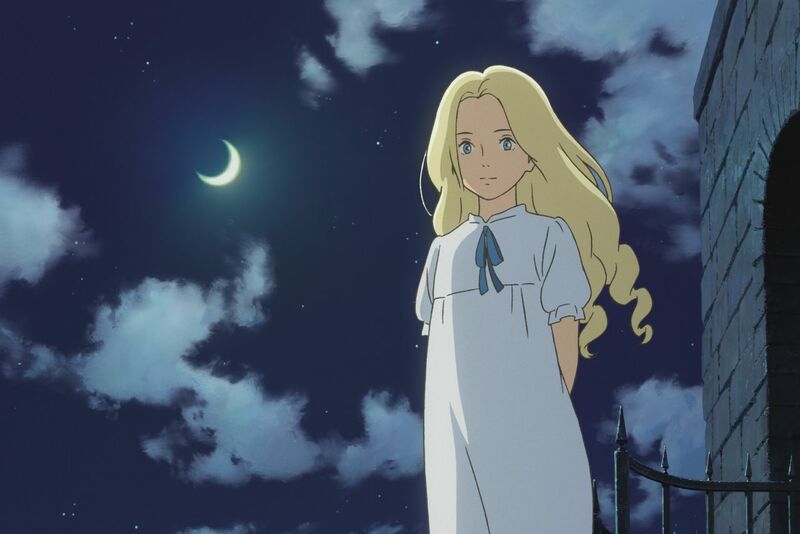 On the night of the Tanabata festival, Anna gets into an argument and runs away to the mansion across the marsh where she meets Marnie, the blonde girl. The two agree to keep their meeting secret and they meet again on the next evening. Marnie invites Anna to a party at the mansion, which is filled with guests. Marnie disguises Anna to get her into the party. 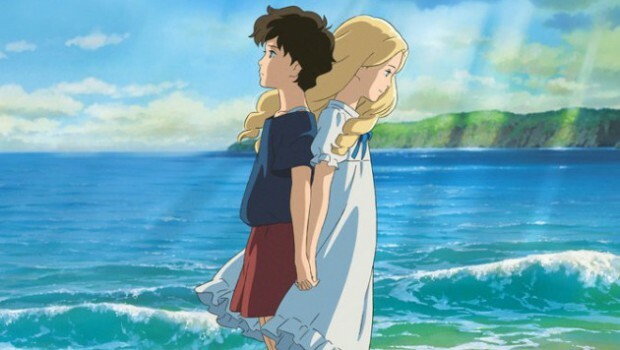 While there, Anna sees Marnie dancing with a boy named Kazuhiko. Later, some townspeople find Anna asleep by the post office. The next day, Anna returns to the mansion, but it appears abandoned and dilapidated again. One week later, while sitting on the shore sketching, Anna meets Hisako, an older woman who paints pictures of the marsh and the mansion. Hisako comments that Anna’s sketches look like a girl whom she knew when she was young, and who used to live in the mansion. She also tells Anna that the mansion is being renovated for new owners. Anna runs to the mansion, where she meets a girl named Sayaka, who discovers Marnie’s diary hidden in a drawer. The next day, Marnie reappears and the two girls discuss their home lives. Anna admits to finding government documents that show how her foster parents are paid to take care of her. Anna makes the assumption that they only pretend to love her for the money. 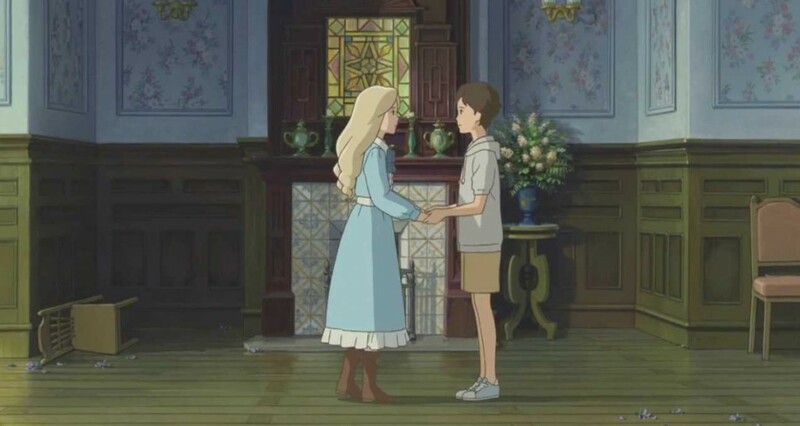 Marnie then shares with Anna how her parents are always traveling abroad, how they leave her in the mansion with her nanny and two maids, and how they abuse her physically and psychologically, threatening to lock her in the silo near the mansion. Anna leads Marnie to the silo, where she helps her confront her fear. 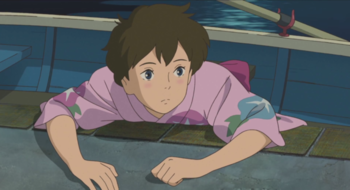 Anna wakes up at the stairway, only to find Marnie gone. Meanwhile, Sayaka finds the missing pages from Marnie’s diary, which include passages about Kazuhiko and the nearby abandoned silo. 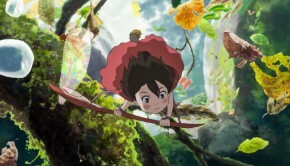 Sayaka and her brother find Anna unconscious and bring her back to her relatives’ house. While in her feverish state, Anna dreams about confronting Marnie, who tells Anna she is sorry for leaving her and that she cannot see Anna anymore. When Anna recovers from her fever, Sayaka shows her the missing pages and a painting Hisako gave to Marnie. 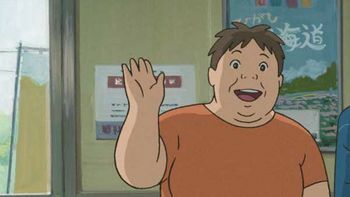 They converse with Hisako who tells them about Marnie’s story: Marnie was neglected by her parents, as they always leave her in the care of the nanny and two maids. 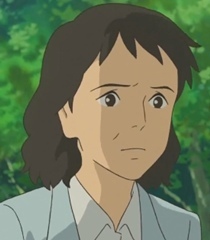 Marnie married Kazuhiko and they had a daughter named Emily. Kazuhiko became sick and died. Marnie was then committed to a sanatorium to recover from the psychiatric effect of her husband’s death, and Emily was sent to boarding school, since Marnie’s parents had also died and had no one to look after Emily. 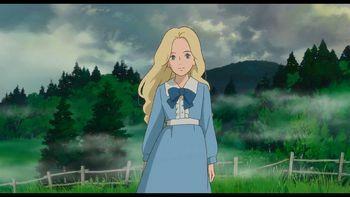 After Marnie was released and Emily came back from boarding school at the age of 13, Emily blamed Marnie for abandoning her. Emily ran away and had a daughter herself, but she and her husband were killed in a car accident when their daughter was one year old. Marnie raised her granddaughter, who was placed in foster careafter Marnie’s death. 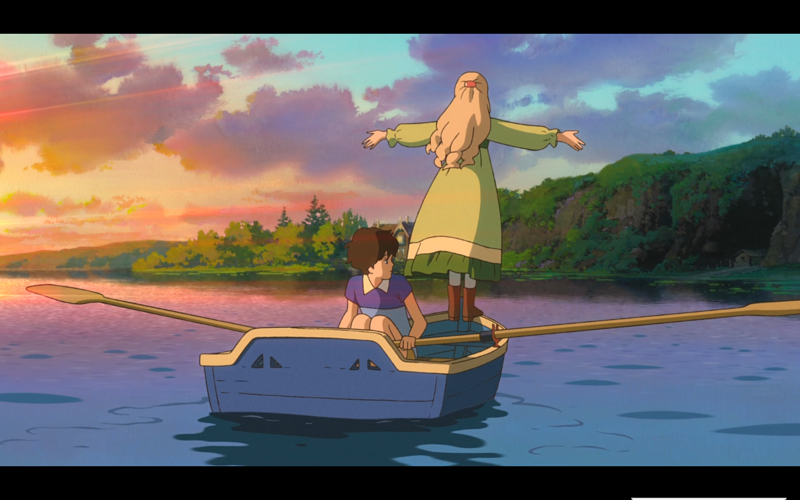 At the end of the summer, Yoriko goes to the town to take Anna home. She gives Anna a photograph of the mansion and says it belonged to Anna’s grandmother. When Anna sees Marnie’s name written on the back, she realizes that she is Emily’s daughter and Marnie’s granddaughter. This revelation helps to bring Anna closure about her identity. Yoriko also tells Anna about the government payments for her care. However, Anna admits she knew about the payments but now no longer cares about them. For the first time, Anna calls Yoriko her mother. 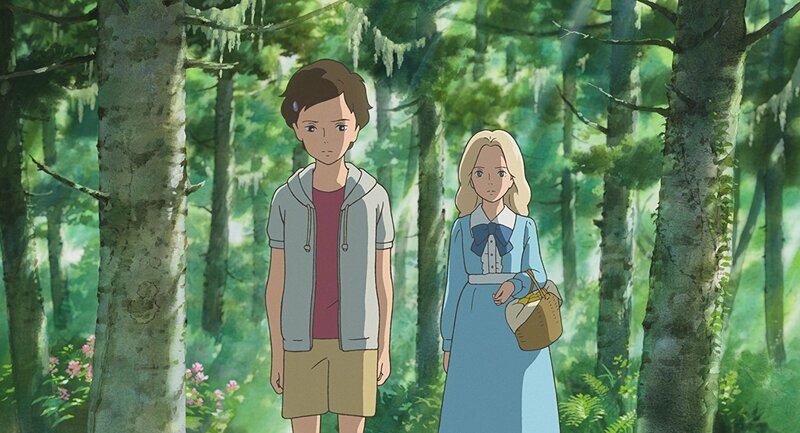 During the end credits, Anna says goodbye to the friends she met in town, before seeing Marnie in the mansion waving goodbye to her, as Yoriko drives Anna back home. 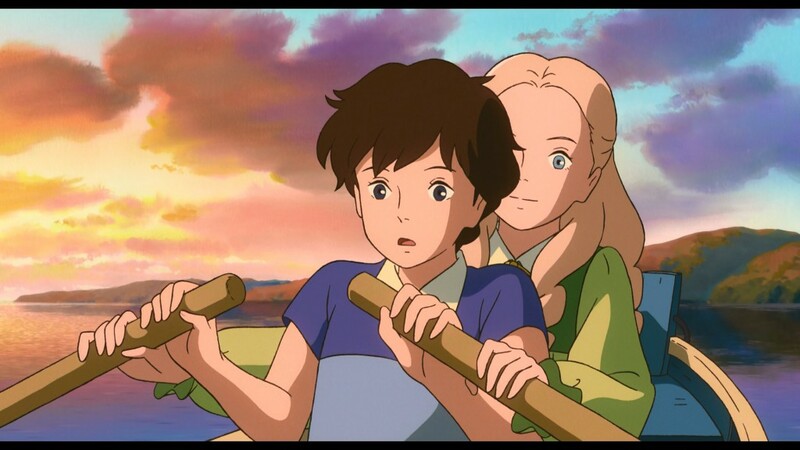 is the titular character of the film When Marnie Was There. 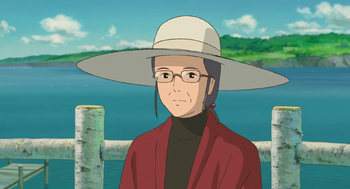 It is revealed that she is actually Anna’s grandmother. the introverted core protagonist. She typically dresses in tan shorts, blue sneakers, and a two-shades of blue t-shirt. 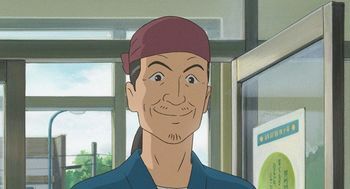 He has two offsprings with his wife Setsu Oiwa. One of them is an adult working as a yoga teacher outside of Kissakibetsu. is first visit when Anna journey. 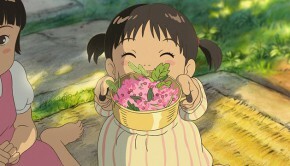 first seen when Anna has asthma disease in her home, in the scene when she waving for Anna in her journey to Sapporo in the end of the film. 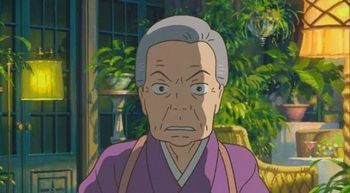 She is a evil aunt of Marnie and lives on the mansion. 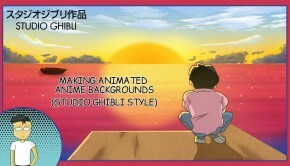 She likes to draw the Marsh house where she spend a lot of time as a child with Marnie.